British theatre’s longest serving artistic director is more focused on the future than the past. 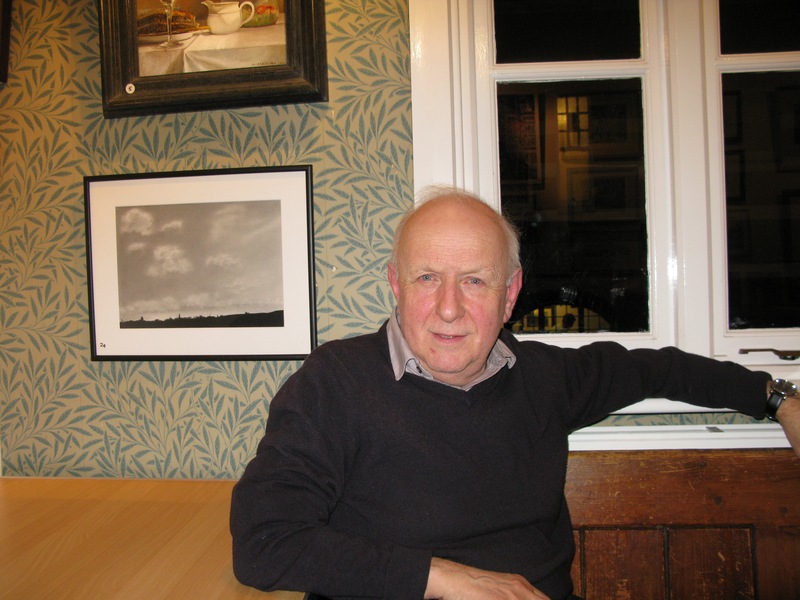 Sam Walters MBE has run Richmond’s Orange Tree Theatre since founding it in 1971, leading it from a room above a pub to building London’s only dedicated theatre-in-the-round, and while a lot has changed in his time, there’s one thing he feels should remain the same. “Artists ought to be outside and antagonise the establishment,” he said in a snug corner of the theatre, his presence as warming as the heating on a cold January night. Sam’s an energetic, confident man – as he has to be having dealt with scores of actors and playwrights in his time, including the recently departed Czech President and former dissident Vaclav Havel. The then-unknown playwright has had premieres in English in this cosy corner of London, far from the Communist secret police, and is one example of the range of plays offered at the Orange Tree. Much as Czechoslovakia has changed so has Britain, and what’s made the Orange Tree successful has been adapting with the times – and not forgetting the past. Its current season has ‘rediscoveries’ of plays as well as original work by talent first developed there, something that distinguishes the Orange Tree. However, what really sets it apart is the theatre-in-the-round, where the fourth wall is removed as the audience is arranged 360 degrees around the stage. “The audience sees how others react, they influence each other, cause others to react, meaning the experience varies night-to-night,” says Sam. Setting plays in the round gives a different experience. Yet while the number of London theatres has grown over the years, there are no others set up like this on this scale. But while London’s gained more theatres, it’s also gained a whole new generation of professionals who have been raised to go on stage – by their parents, by the X-Factor, by schools with GCSEs in directing. “My generation was discouraged from making itself a centre of attention,” while now there is a “plethora of people” looking to do just that. It’s not to say it’s a bad thing, but it has changed the amount of potential plays and players. Likewise, plays that may not have once been produced now have a great chance of being put on. Audiences have changed too. 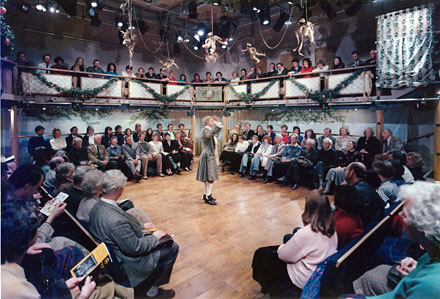 Since the founding of the theatre, group activities such as political hustings have declined in popularity, people in general are gaining a horror of sitting next to “sweaty, messy people they don’t know” to share an experience . “New media people are glued to TV screens”, so ensuring that the Orange Tree’s offerings are different and distinctive to draw audiences away from screen is Sam’s goal when creating his season. He thinks it’s one reason why the Orange Tree has a loyal audience. One example of this loyalty is a retiree who raised capital from her house largely so that she could guarantee a taxi to the theatre and back. In an age when it youth seems a fetish, this talk of a pensioner’s commitment makes Sam recall an early experience that made him aware just how valuable older audiences are. Having a good chat and discovering she had seen more productions of Shakespeare and Twelfth Night than Sam thought possible, he soon took the chance to get her matured view on his productions for some years. Yet despite his affection for his audience, the menu is very much his own. “It’s dangerous to think of the audience too much. Audiences must be surprised and shaken up.” Audiences can voice what they like, but it’s down to the artistic director’s instincts to know what is right to put on. So if it’s not audience affection that worries him what is it that keeps him awake? It’s audience behaviour, not their affections. Not just that is theatre going to survive in the TV and online age and as youngsters shy away from the theatre. It’s the implications of the state trying to make theatre part of education, the probability of making it part of the establishment. In his time Sam’s seen an increase in how artists must fulfil ambition of political or funding masters. In doing so they risk losing their dangerous edge, he worries. Many now have to balance accountability with political priorities, serving as quasi-educational and social services, running the risk of being hemmed in by people pulling the purse strings and the day when theatre is reduced a simple business plan. Off or on a balance sheet, what will that mean to the future of theatre and the audiences they attract – or don’t attract? Judging by the full season for the Orange Tree it is safe for now, but what of London’s other pub theatres – how many more will ever have the leadership to raise it in bricks and mortar if there’s not enough demand? Send in the creative nutters, says Sam. If they’re still allowed.